Can I Get Rid Of Back Child Support In A St. Louis Bankruptcy? No, you cannot. Domestic Support Obligations (things such as child support or spousal support) cannot be discharged in a St. Louis bankruptcy. The reason why is pretty simple: such an obligation has been determined over years of public policy and law to be so important that it should never be relieved. So if you were to file a St. Louis Chapter 7 bankruptcy, your unsecured debts (like credit cards, medical bills, payday loans, etc.) will be knocked out for good. But things like child support (and most tax debt) will still remain an obligation. Sometimes, the amount of back child support that you owe (in other words, the amount of child support that you have fallen behind on) can be the most significant debt you are handling. In this type of situation, it may be a better option to file a St. Louis Chapter 13 bankruptcy. A Missouri Chapter 13 is described as a repayment plan over the course of three to five years during which you pay back certain debts. These debts would include mortgage arrearage, tax debt, car loans, sometimes a portion of your unsecured debts, and back child support. This arrangement allows you to repay the debt in a very structured way, making sure that the state is satisfied with your efforts to pay on the obligation. In addition, a Chapter 13 will stop a home foreclosure, car repossession, wage garnishment, bank levy, and any lawsuits filed against you. In addition, there is a good chance that most of your unsecured debt will be discharged (much like if you were to do a Missouri Chapter 7). But regardless of which debts are knocked out and/or paid for, the monthly payments you make in a Chapter 13 will be reflected on your credit report (which will have the effect of raising your credit score). Either way, if you are dealing with debts for which you are unsure how a bankruptcy will dispose, it is terribly important that you speak with an experienced attorney. 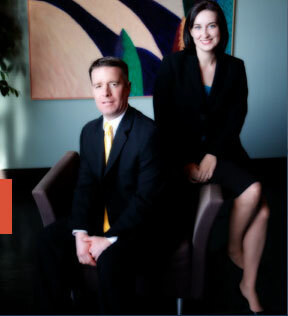 The affordable St. Louis bankruptcy lawyers at Brinkman & Alter, LLC have been helping people deal with their debts for over ten (10) years. Our goal is to make sure that you understand exactly what your options are, how each chapter of bankruptcy directly affects you, and to do it at an affordable price.